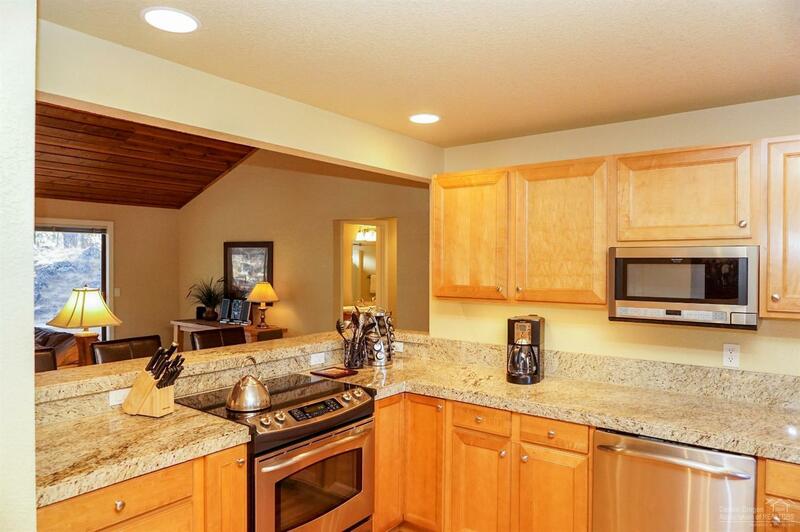 Single level open floor plan on nicely sized lot in prime location. 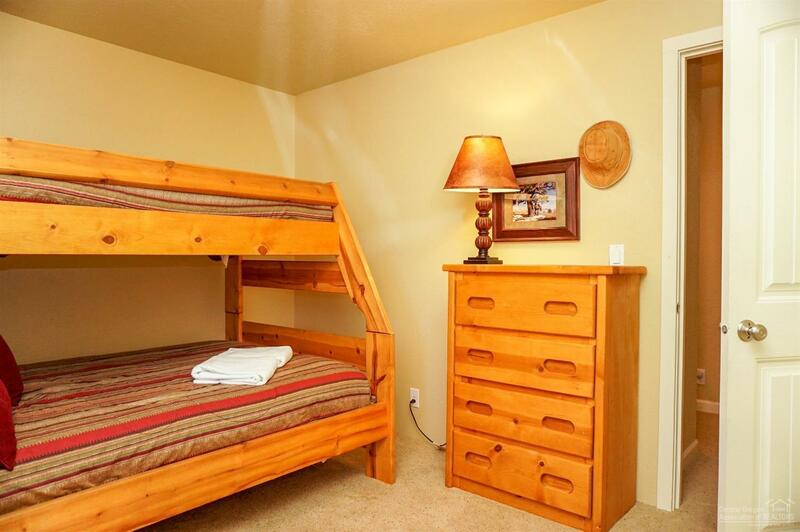 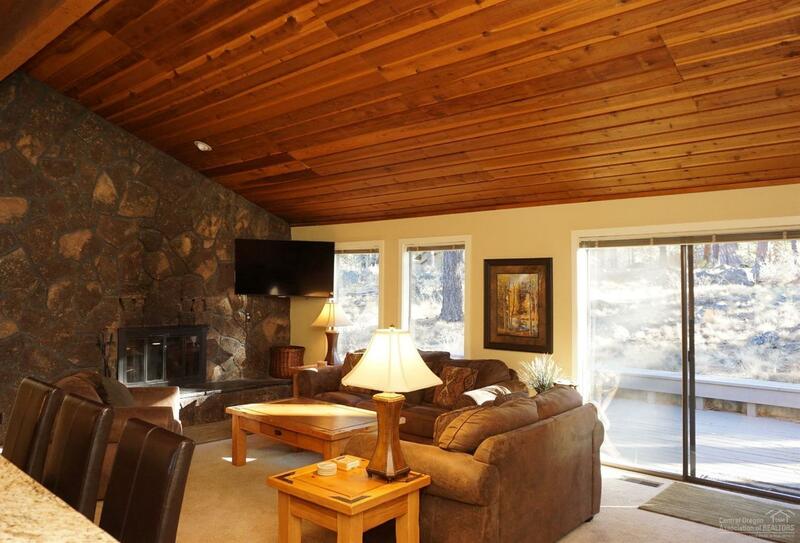 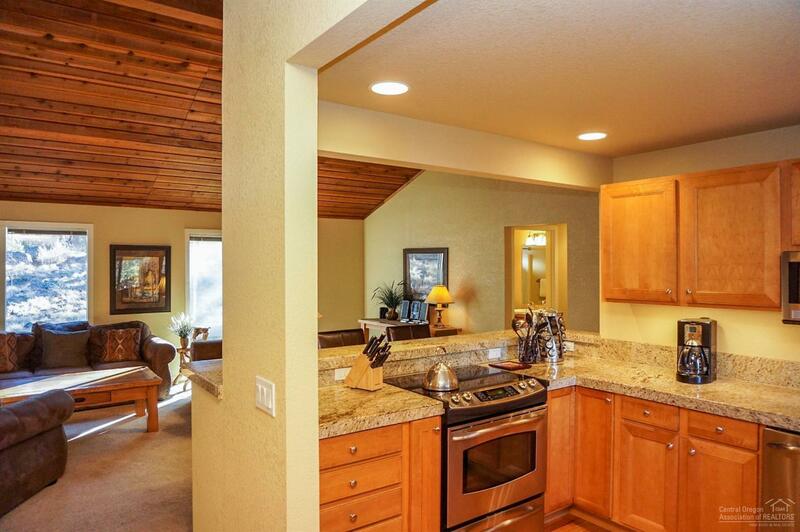 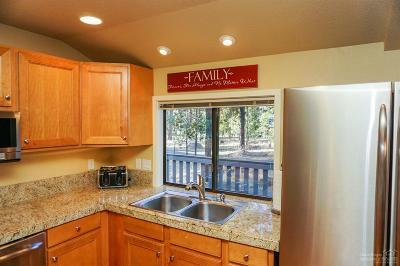 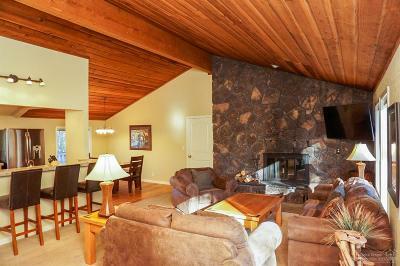 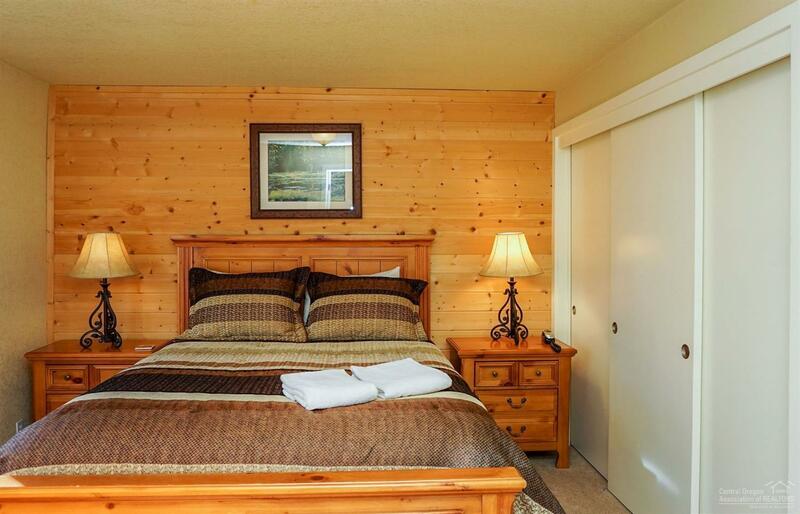 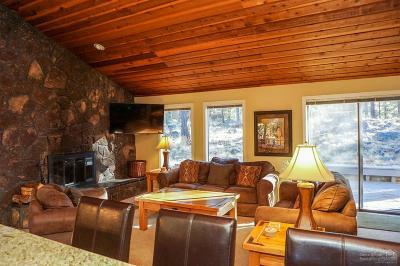 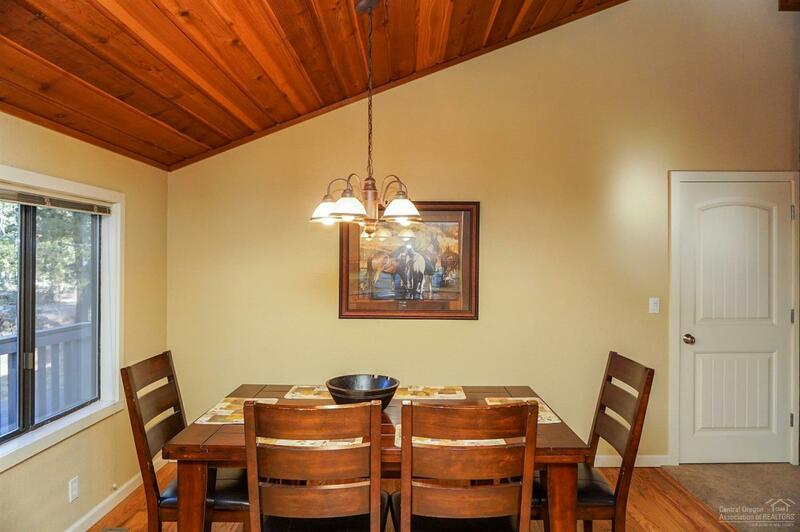 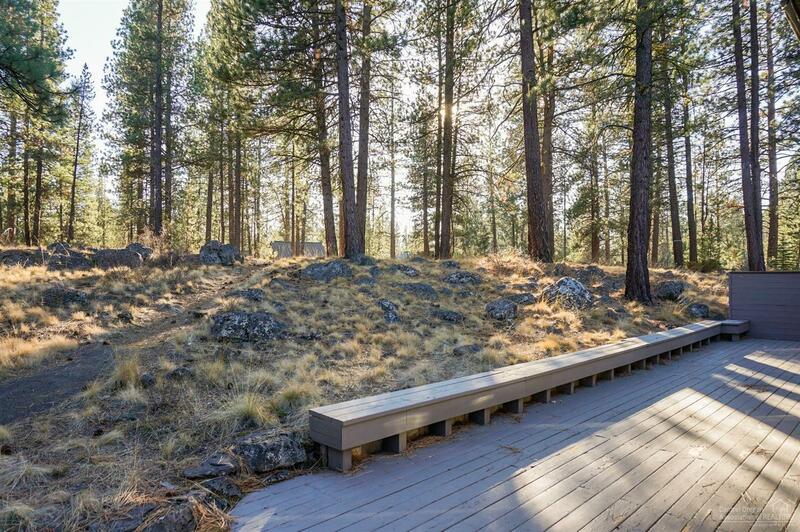 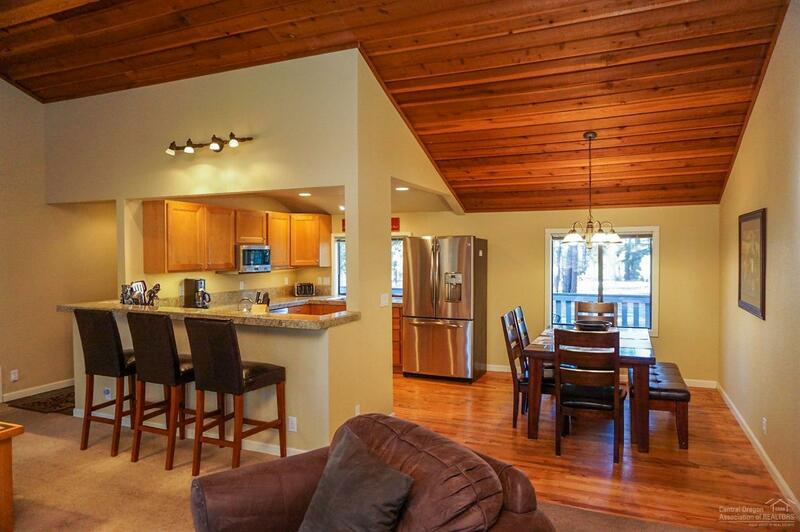 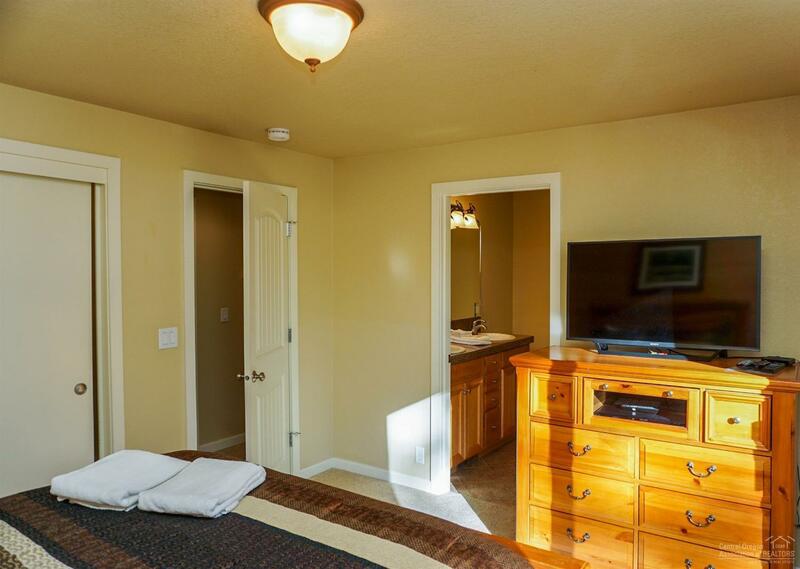 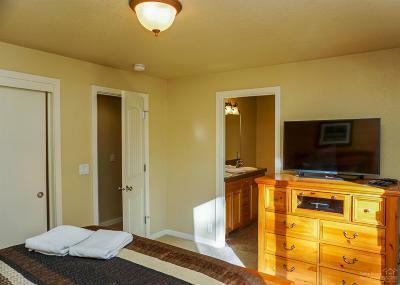 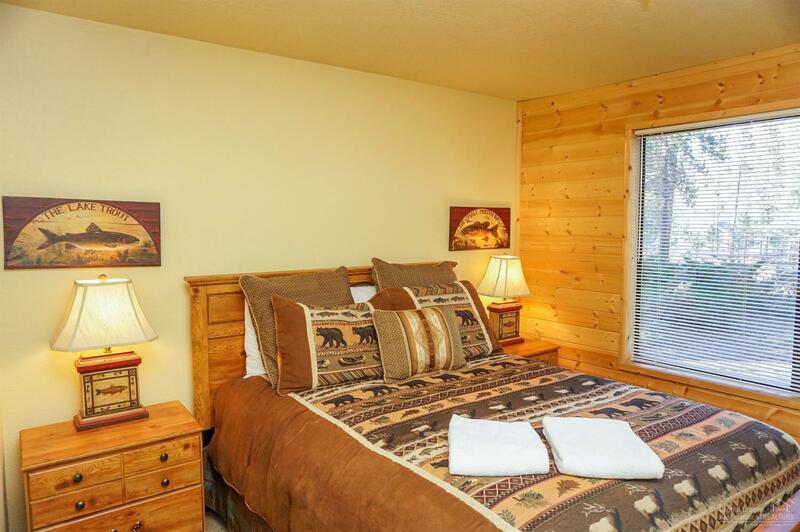 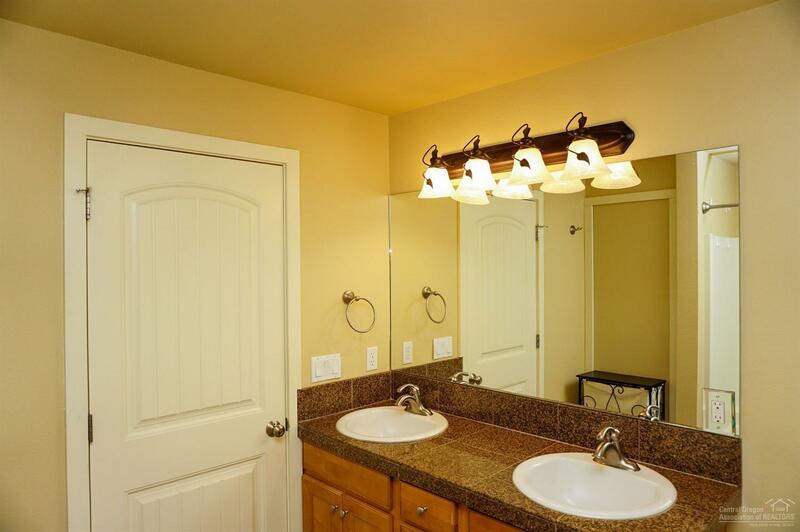 Upgrades & updates throughout create contemporary feel while sustaining Sunriver character & charm. 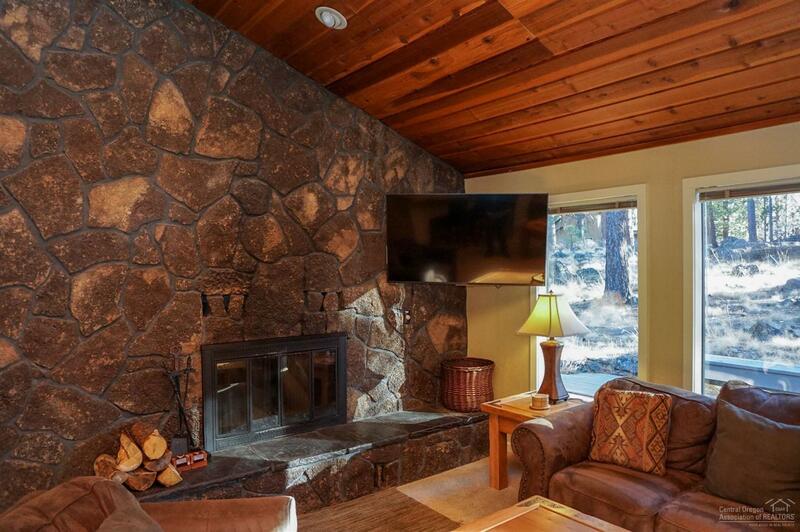 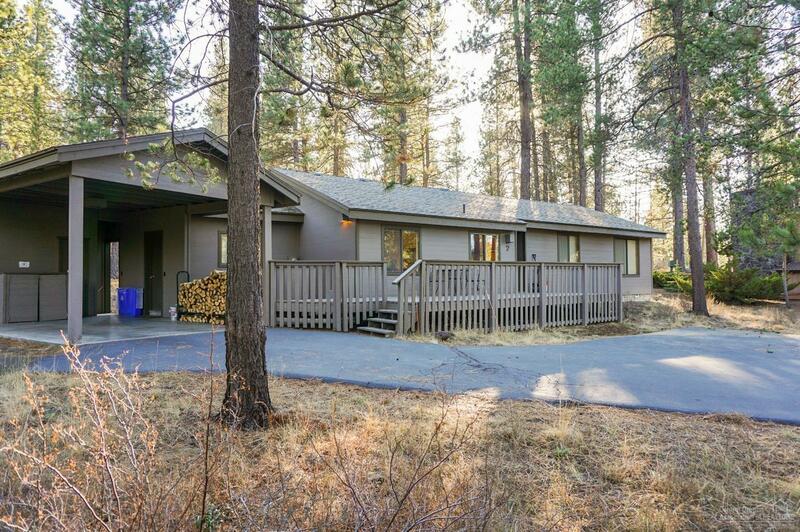 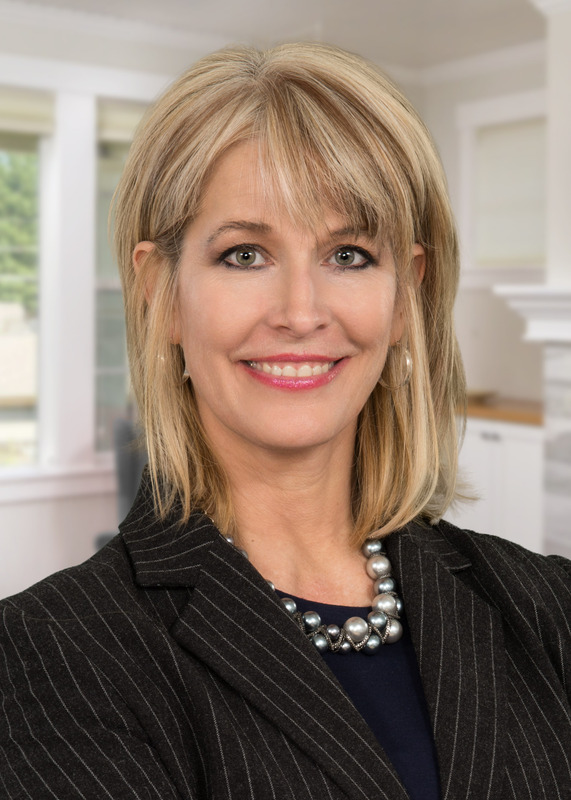 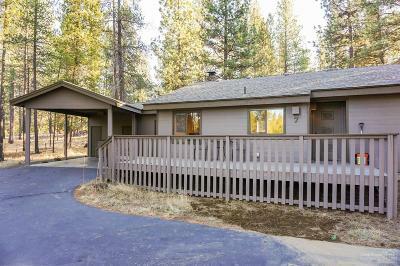 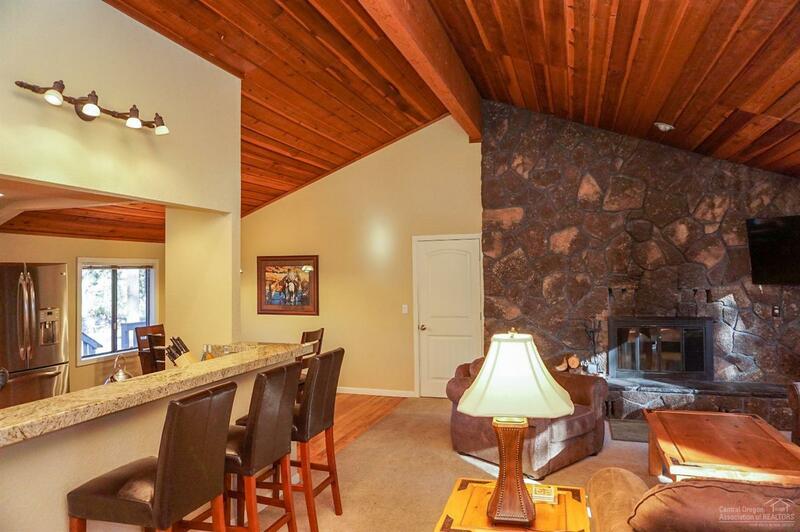 Additional standout features include vaulted living room tongue grooved wood ceiling, classically designed wood burning fireplace with Ochoco Rock facade, utility room, ample storage and appealing furniture decor package. 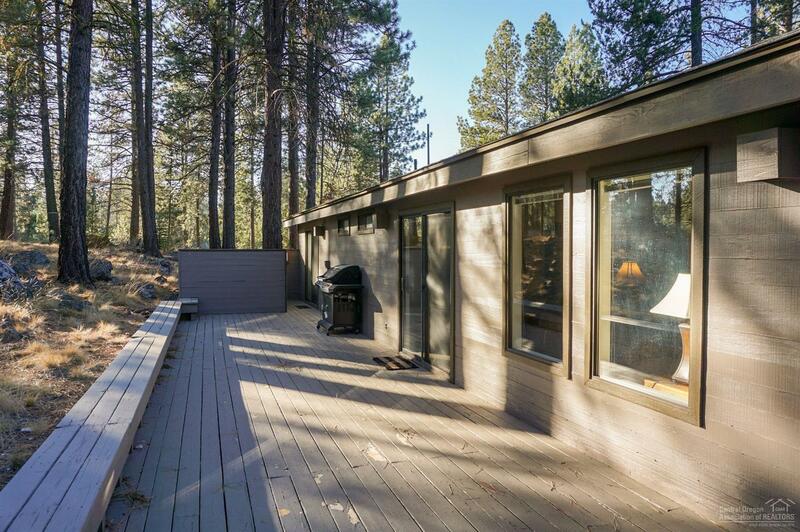 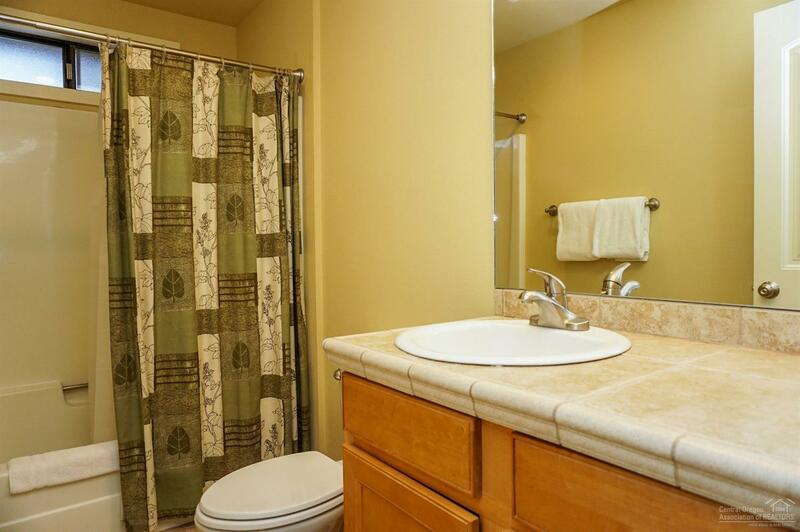 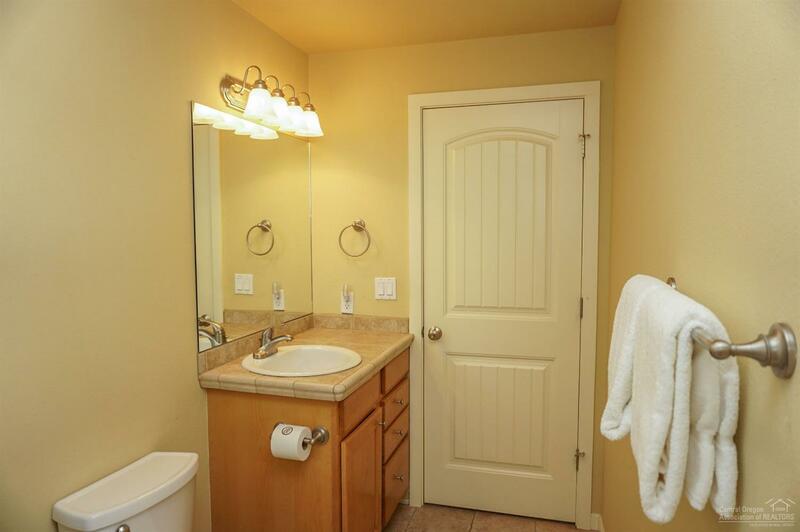 Large expansive front & rear deck spaces, hot tub, carport & nearby bike path finish the properties exterior.